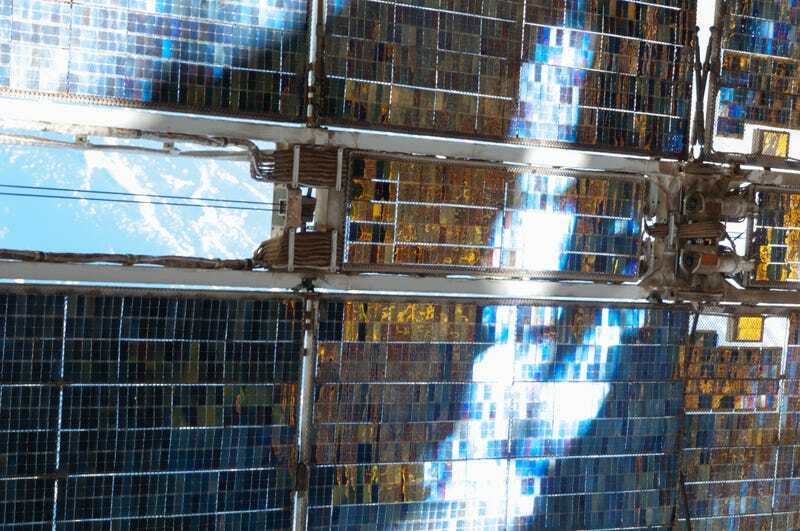 This is a purely functional photograph revealing the condition of the solar panels outside the window on the International Space Station, and you need to stop thinking it’s pretty right now. This photograph was taken on April 3, 2013 as part of an external survey of the International Space Station conducted entirely by peering out of various space station windows. The solar arrays are outside the Zvezda Service Module, and reflect sunlight to create a surprisingly lovely scene for such a menial task. But don’t you dare go thinking this gorgeous snapshot of unidentified beauty is a poetic tribute to the wonder of humanity building a fragile outpost in the harsh environment of space.